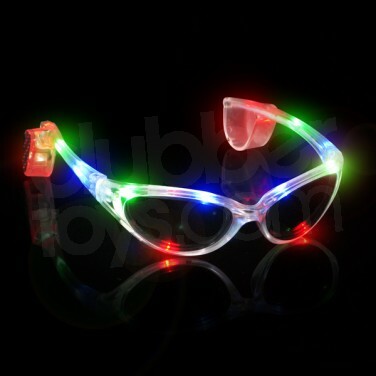 Get an A list look with a super cool twist with these fantastic Light Up Party Shades! Just the thing to compliment your party outfit, these sporty looking sunglasses appear to be standard shades; until you switch them on! 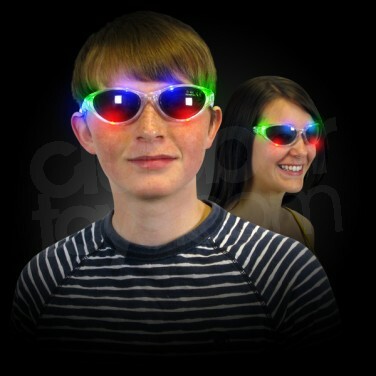 With three light up modes, choose from fast flash, slow flash and static, the rims of these sunglasses light up with red, green and blue LED’s to take on a life of their own! 3 x AG13 batteries loaded and ready to go! Light Up Shades Lighten up your look and accessorise with these fantastic Light Party Up Shades. 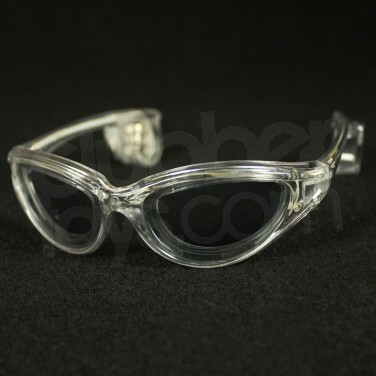 These fabulous sunglasses light up through three modes for maximum effects!